The Bugler Rolling Machine has a distinct blue body that makes amazing tobacco smokes one after another, after another. This tobacco machine is perfect for when you use single wide tobacco papers. 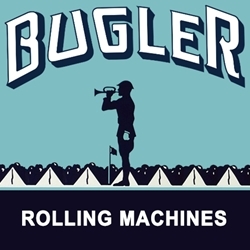 This machine is simple to handle, being one of the best brands on the market, the Bugler Rolling Machine continues its famous trend of making smoking accessories easy and affordable for generations of smokers. Smoking enthusiasts everywhere have grown to appreciate how good quality the Bugler brand is. Here at Smokers Discounts we believe you will too! We’ve made it easy and affordable to buy accessories and tobacco products online. Call us for more details!